James Maliszewski is the prolific author of the “little-known” blog, Grognardia, which just happens to be a wonderful tribute to the RPG hobby. Here we discuss his blog, his humble gaming origins, his preference for knives, and what’s going on in his gaming world these days. Would you mind explaining what Grognardia happens to be about? Grognardia is about “the history and traditions of the hobby of roleplaying,” as it says on its masthead, but that’s just a fancy way of saying that it’s about old school RPGs, with “old school” in this case generally meaning games written, published, and played before about 1984 or so, as well as some later games that were written based on similar principles as those earlier games. Like most gamers my age, I entered the hobby playing D&D, which I played more or less continuously from 1979 till sometime in the early 90s, when I finally decided that I’d had enough and moved on to other games. For me, the 1990s were an awful time for D&D, when the game had strayed very far away from being what first attracted me to the hobby in the first place. So I spent much of that decade casting about for other RPGs that I hoped might bring me the same pleasure that D&D and older games had previously. Along the way, I found several I enjoyed for a time, but none of them “stuck,” if you know what I mean and I soon found myself more an observer of the hobby than an actual participant in it. Had it not been for the release of the third edition of Dungeons & Dragons in 2000, I might have continued on in that way, or perhaps even drifted away from the hobby entirely. But 3e reignited my love affair with D&D and I played it quite intensely for about six years. It was at that time that I began to find WotC’s revision of the game increasingly at odds with my interests. 3e is a solid design but a very complex and rules-heavy one, as well as one more concerned with mechanical “balance” than matters to me. So, by 2006, I once again started to cast about for an alternative, eventually coming across various online old school communities, such as Dragonsfoot, the Knights & Knaves Alehouse, and, especially, Finarvyn’s Original D&D Discussion forums. Connecting with the gamers in those communities reminded me of how much fun I’d had with the games I’d first played way back when. Rather than searching for a new game that might give me as much enjoyment as those older games had, why not just play the older games? It seems like an obvious thing in retrospect, but, believe me, it seemed like a radical concept at the time. Before long, I found that, contrary to conventional wisdom, you can go home again and I was spending far too much time thinking about and creating material for OD&D and other old school games. It was then that I decided to take the plunge and start up a blog where I could share the fruits of my newfound creativity. That’s more or less how Grognardia was born. I’m sure you get this a lot, but would you care to explain where the name Grognardia comes from? “Grognard” is a French word meaning roughly “grumbler” and was reputedly an affectionate name given by Napoleon Bonaparte to his Old Guard, who were extremely loyal to him but also complained a lot about their living conditions. Back in the early 70s, John Young, who was the editor of Strategy & Tactics, a wargames magazine published by SPI, started referring to older wargamers as grognards, because, like the Old Guard, they’d been around a long time and they complained a lot, especially about some of the newer wargames coming out at the time. Perhaps because roleplaying grew out of wargaming, in time the term also came to be used to describe old school roleplayers as well, particularly those who dislike later editions of any game they played. The term is generally not used affectionately, but I still thought it’d be amusing to name my blog about old school gaming Grognardia. 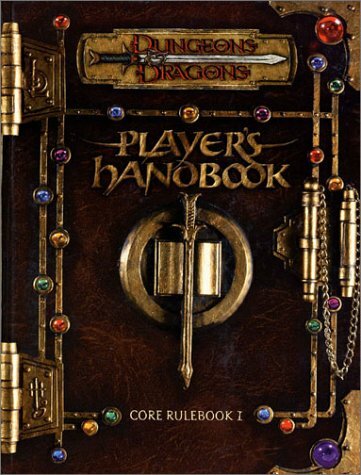 So, if I met you at a cocktail party and started gushing on and on about how much I loved 4th edition D&D, would you stick a fork in me? No — I favor knives for dealing with fans of 4th Edition. More seriously, my answer is still no. I don’t have any love for 4th Edition, for a variety of reasons, but, if someone gets enjoyment out of the game, more power to him. We all have our preferences when it comes to our entertainments and there’s rarely any purpose in trying to argue that someone else’s preferences are wrong or somehow mistaken, even if they’re not ones you personally enjoy. Life’s too short to pick fights over roleplaying games. Best I can tell, you are approaching 2,000 posts now with your blog and that’s in under 3 years. How have you managed to keep this pace up? Assuming I keep up my current pace, yes, I should reach 2,000 posts very soon. Keeping up the pace is, frankly, pretty easy. I’ve been involved in the hobby for over 30 years, so I have literally a lifetime of experiences to mine for ideas. 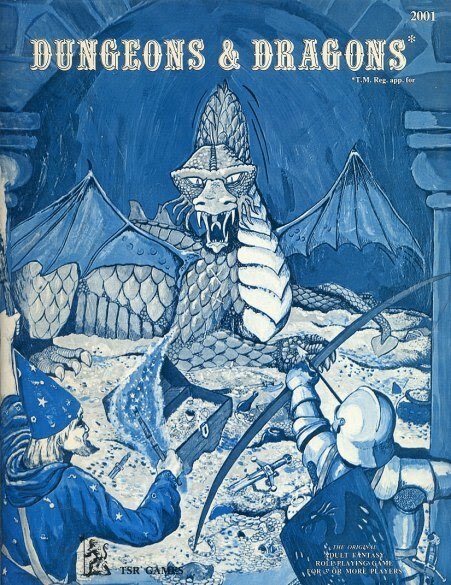 Then there are my regular features, such as the Pulp Fantasy Library and retrospectives on old school gaming products, as well as interviews, reviews, session reports from my ongoing OD&D campaign, and more. So, I’m rarely at a loss for topics, which helps me immeasurably in maintaining a regular schedule of posting. Plus, I just love what I’m writing about; it’s amazing how little effort it takes to write when you’re passionate about the subject matter. It’s mostly a hobby. 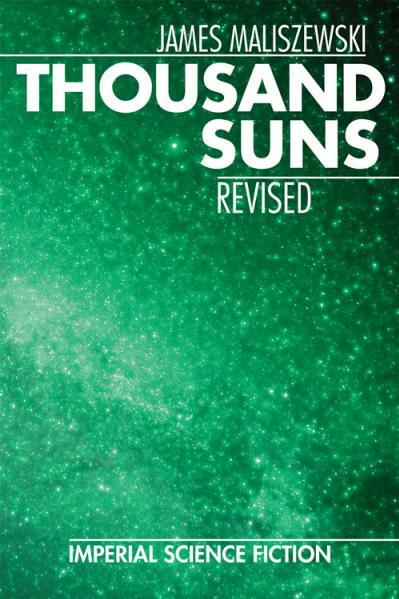 And, while I am the co-owner of a small RPG company called Rogue Games, through which I’ve published my sci-fi RPG, Thousand Suns, and an old school fantasy adventure, The Cursed Chateau, I try very hard not to use Grognardia as a platform for making money beyond the small change I occasionally get from my tip button (which I then use to buy old school products I really like). Lots of people mistakenly think I intend the blog to be a stepping stone to something more, but it’s not; it’s just a place where I can write everyday and share my thoughts on some topics near and dear to my heart. Now, it’s true, I’ve often attracted a fair bit of attention from outside roleplaying circles because of Grognardia, such as mentions in the L.A. Times and National Review Online, among others, and I do appreciate the kudos. However, that’s never been the driving force behind my blogging. I do this because I enjoy and I’ll continue so long as it continues to be fun. Would you care to share a particularly enjoyable experience related to your blog? Truthfully, there are too many to mention. I get a lot of emails from people who used to game and then, like many, fell away from the hobby as they entered adulthood. 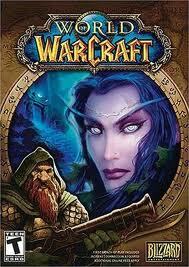 Then they stumbled on Grognardia and found their interest in roleplaying rekindled by some post or other that I wrote. I’ve heard from parents who were inspired to introduce their kids to RPGs and teachers who’ve done the same with their students, as well as from game designers who thanked me for speaking so highly of something they’d done in the past. Grognardia has really brought me a lot of satisfaction over the last three years and has brought me into contact with many, many people who share my love for older RPGs and the culture that surrounds them. It’s been a terrific experience. How about one you’d care to forget? Of course, but, fortunately, I’ve forgotten them. Going back a bit, how were you introduced to the hobby and what was that experience like? As I mentioned earlier, I was introduced to the hobby in late 1979. In August of that year, James Dallas Egbert III disappeared and early speculation suggested that his love of Dungeons & Dragons had something to do with it, though that later proved to be untrue. My father read a lot of newspaper articles about the disappearance and he was always talking about this “weird game.” So, my mother, thinking my father would like to see a copy of the game, bought one for him — the “Blue Book” version edited by Dr. J. Eric Holmes. As it turned out, my father had no interest in the game itself and so the boxed set sat in my upstairs linen closet for several months. That Christmas, a friend of mine received a boardgame called Dungeon! as a present. 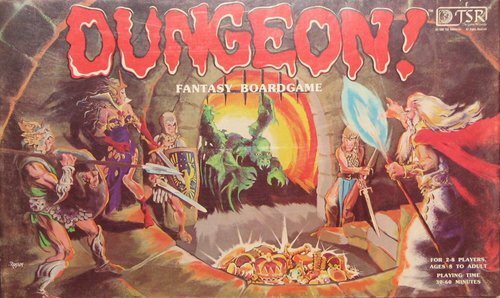 It was a very simple game about dungeon exploration and everyone in our gang of friends simply adored it, especially the creatures it included as adversaries, like black puddings and green slimes. Playing it reminded me of that “weird game” my mother had bought for my father in the summer and so I went home and opened it up, immersing myself in the 48-page rulebook it contained. I couldn’t make heads or tails of it, because there was no board or pieces inside the box. There weren’t even any dice, since this was one of the sets that included laminated chits! Still, I was incredibly intrigued by this game and my friends and I tried to play it as best we could. That’s when one of my friends’ older brother saw us and started laughing at us, since we were “doing it wrong.” He then took it upon himself to teach us “the right way” to play and we were grateful. After all, my friend’s brother spent a lot of his time yelling at us and generally behaving like a surly teenager toward us. That he was actually teaching us how to play this game he and his high school buddies played made it feel like we were being initiated into a secret society, which, in a way, we were. Back then, D&D — and roleplaying in general — was still a new and unusual thing and, while RPGs were rapdily entering public consciousness as a fad, they weren’t quite there yet in early 1980 and so we took some pride in being early adopters. That experience was a powerful one for me and my friends. You have to remember that, in the late 70s and early 80s, personal computers and the Internet were still far in the future for most people. Our communal entertainments were mostly boardgames, sports, and various kinds of “make believe” activities. So, when we first encountered roleplaying games, it was like a revelation to us, especially when we found out that adults played this game too. My D&D boxed set even included the words “the original adult fantasy role-playing game” on its cover, which had a profound impact on us. D&D taught us that it was OK to hold on to your childhood fantasies as we grew older, a lesson hit home even more strongly when a friend’s father would act as Dungeon Master for us on occasion. I can’t stress enough how positive my early experiences of the hobby were, which probably explains why I’m still roleplaying three decades later. After a friend’s older brother introduced me to D&D the summer after 7th grade, I fell in love with the game and played with a static group of friends through most of high school. At some point girls and trying to act cool entered the picture and unfortunately my D&D days were numbered. I still look back on those days with great fondness. I’ve even tried to pick up the dice again on occasion, but it’s just not the same anymore. The magic eludes me. How have you managed this and continue playing RPGs to this day? What’s the secret? I’m not sure I have a “secret” other than simply playing and doing so as regularly as possible. I’m lucky, I guess, in that I have a corps of regular players whom I’ve known for a long time and a very tolerant family who lets us get together in our dining room to play. Even when I was most disenchanted with the hobby back in the 90s, I never completely fell away from it. Roleplaying has been a part of my life for so long that it’s hard to imagine not doing it. I’ve never felt any pressure to distance myself from the hobby, even when most of my friends were no longer interested in it, so that’s likely to have been a big factor in my ability to keep playing after all these years. If I didn’t have a steady crew of gamer friends with whom to play, I suspect I might well have abandoned it at some point too. Would you say your passion for the hobby has had its ups and downs over the years? Absolutely! As I mentioned previously, the 1990s were a low point in my passion for and involvement in the hobby. A combination of my getting older, being busy with graduate school, and, from my perspective anyway, a noticeable decline in the quality of the games I most enjoyed, all had a negative effect on me. Ironically, this largely coincides with the time during which I was most professionally involved as a writer of RPG materials. I worked as a freelance writer for a lot of different companies throughout the 90s and, while I’m still proud of a lot of what I wrote, I note with some embarrassment that very little of it was informed by actual play of the games involved. I still write, as I mentioned earlier, but it’s much more strongly connected to actual play, which I think makes for better, more useful gaming materials. Has this passion rubbed off at all on any of your family? Yes and no. My wife and my 11 year-old daughter have dabbled in roleplaying games after being introduced to them through me. They both have terrific imaginations and a keen interest in fantasy. but I don’t think either of them has yet found the “perfect” game that complements their personalities and interests. My daughter was briefly involved in my OD&D campaign, playing a young magic-user. She eventually stopped playing, though, because she found the danger-filled, swords-and-sorcery inspired nature of the sessions a bit too tense for her. My wife has played in a handful of brief, character-focused campaigns but hasn’t actively roleplayed in some time. So, I’d say they’re both very open to the idea of gaming. My 8 year-old son, on the other hand, hasn’t shown a great deal of interest in the hobby. He likes looking at and playing with my miniatures and dungeon tiles, but that’s largely the extent of his interest. Of course, he was a very enthusiastic player in the Pokemon Jr. Adventure Game that I ran for the family a couple of years ago, so, again, I think he’s open to the idea of gaming. I try not to push my hobby on others, including my family. My feeling is that, if they’re interested in what they see me do at the dining room table with my friends, they’ll come and ask me more about it. And if they don’t, that’s fine by me too. When and where do you find time to game these days? These days I play in a theoretically weekly OD&D campaign at my home. I say “theoretically” because, real life being what it is — my regular players are all adults — we sometimes don’t meet every week. On average it’s been about once every other week, but we try to meet as often as possible. As blasphemous as it may sound, I manage to scratch what roleplaying itches I get these days by immersing myself in MMORPGs. From what I understand, you’re not exactly a stranger to the genre. Would you care to talk a bit about your experience with World of Warcraft and how for someone who is known for championing “old school” RPGs, that might not have been the easiest thing to admit on your blog? I don’t fully understand why so many tabletop roleplayers have an animus against computer games and MMORPGs in particular. Perhaps it’s because they feel that these entertainments have “stolen” their audience and reduced their hobby to a shadow of its former size in terms of popularity. For myself, I see computer gaming generally and MMOs in particular as a totally different, though clearly related, hobby to tabletop gaming. That’s why it baffles me a bit when it’s suggested, as you do, that there’s something odd about a fan of one hobby also enjoying the other. From my perspective, my enjoyment of World of Warcraft is no different than a bibliophile’s enjoyment of movies; there’s no reason I can’t like both. Now, that said, I think it’s important to note, in my experience anyway, there’s not a heck of a lot of roleplaying going on in computer “RPGs” or MMORPGs. Certainly, these games can be extremely immersive and they often present extremely well-crafted stories that are quite diverting. However, they can’t compare to even a mediocre tabletop gaming session when it comes to interactivity and improvisation, two elements of what I most enjoy about tabletop roleplaying. Consequently, despite their popularity, I honestly don’t think there’s a lot that tabletop RPG design can learn from computer games or MMOs. The media are, in my view, too different from one another. What makes a good computer game or MMO will not make a good tabletop RPG and vice versa. So, while I can understand why tabletop designers might be envious of, say, World of Warcraft’s immense worldwide subscriber base — and the profits that go with it — I think it’s a mistake to see reproducing them in analog form as a pathway to success. To my mind, what tabletop RPG companies need to do is twofold. First, they need to accept that the 80s are long gone and, barring some totally unpredictable shift in popular culture, the days of a tabletop RPG selling as well as they did back then are never coming back. Second, they need to play to the strengths of the tabletop medium rather than aping those of computer games and MMOs. Tabletop games are open-ended, flexible, and player-driven, things that no computer can reproduce. As much as I enjoy computer games with some degree of player choice, like, say, Mass Effect, they offer only a fraction of what a tabletop RPGs offer me, which is why I’d never abandon tabletop for a purely virtual experience. Outside the realm of RPGs are there any other kinds of games you enjoy playing and would feel safe mentioning here? James Maliszewski. He says he’s a knife man, but I’m getting some mixed signals here. Besides MMOs and other video games — I especially enjoy playing shooters with my friends — I enjoy boardgames, some of which I play with my children. Labyrinth, Blokus, and the LEGO-based Pirate Code are all favorites of ours. I’m very fond of Risk and Risk 2210 A.D. and Diplomacy is a game I dearly love, though I haven’t played in quite some time, unfortunately. I wish I could say I’m a “real” wargamer, but I’m not and never have been. This applies to miniatures wargaming as well. What advice would you give someone who was interested in playing an RPG but had never been exposed to them before? Therein lies a big problem for the hobby: if you haven’t been exposed to RPGs before, chances are you never will be. Gone are the days when tabletop gaming was a big fad and it was possible to go into any book or toy store and pick up a copy of a wide variety of roleplaying games. Fortunately, all you really need is someone else who’s already roleplaying, which is not much different than it was in the glory days of the hobby. In fact, I remain convinced that the best way to get into roleplaying is to be introduced to it by someone who already plays it. I differ from a lot of people in that I don’t think what the hobby really needs is a good introductory roleplaying game available in every book and toy store, though that’d certainly be great. Rather, I think what we need are more gamers who are willing to share their hobby with interested newcomers. So, if you’re someone with little experience of RPGs who wants to learn more, I can’t think of a better way to do so than to seek out people still actively involved in the hobby. Rulebooks and intro sets and websites can only get you so far; what’s really needed is face-to-face interaction with people actively involved in the hobby. And last but certainly not least, when was the last time you rolled a 20-sided die? I’m guessing it’s been a while, so if you need some time to think about that, go right ahead. A while? Hardly. Given that I’ve had a regular OD&D campaign going since January 2009, odds are good I’ve rolled more than a few D20s in any given week.